Following a clash with a Manchester United player in the first leg of their UEFA Champions League quarter-final on Wednesday night, FC Barcelona superstar Lionel Messi was seen bleeding from his nose and eye. Here is the latest on the injuries he sustained. Click through the gallery above to see the aftermath of Messi's clash with the United player! 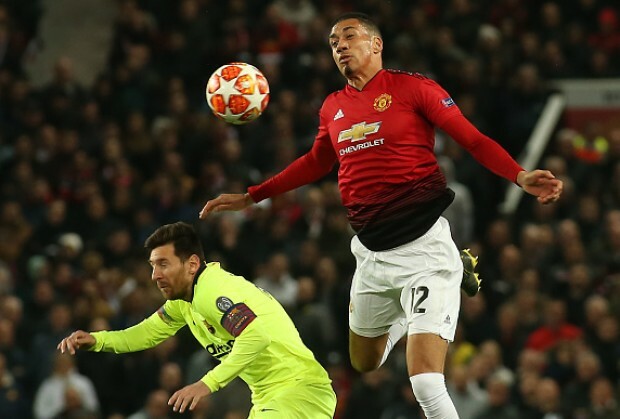 The Argentine took a nasty knock to the face during Barca's 1-0 win at Old Trafford, during a collision with United defender Chris Smalling 30 minutes into the clash. Messi was seen to by medics as blood seemed to gush from his nose, while his left eye also appeared in bad shape. The 31-year-old continued playing, but was unable to have the desired impact on the game for the Catalan giants, although he did provide the assist for the header that led to Barca's goal early on, with Luke Shaw deflecting it in. Speaking about Messi's condition after the game, manager Ernesto Valverde said the forward has bad bruising under the skin. "Messi has a bad hematoma," he said, according to Sport. "He took a big blow and we have to see how he is." Midfielder Sergio Busquets also commented on his teammate's injury after the game. "I don't know if Leo has a fissure or not, but he had a nose bleed and it's uncomfortable, but he showed up in the game and did things in the best way, as always," he said. The second leg of the tie will take place at the Camp Nou next Tuesday, with Barca having the advantage of an away goal. Do you think Messi will have an impact in the second leg? Let us know in the comments section below.